One of the biggest promises president Jovenel Moise made to the people of Haiti is to electricity 24/7 in 24 months. That promise was made back in June 2017. Will the president keep that promise? 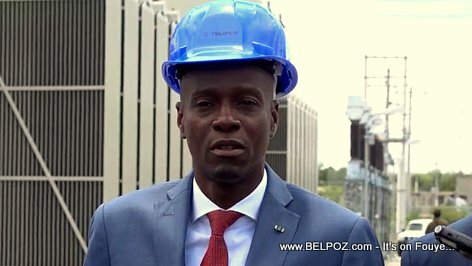 "Haiti does not face a problem of energy production," President Jovenel said. "You can buy 1000 megawatts of electricity if you want." "The real challenge lies in distribution. The electricity grid in the metropolitan area, stretching from Cote-des-Arcadins to Leogane, was built to serve 300,000 people. Today, nearly 4 million people live in this space. 80% of these 45 circuits in this network are not working properly. That said, this network needs to be renovated." Take a look at this cartoon/caricature published by Haitian newspaper Le Nouvelliste. It shows President Jovenel Moise in a dream. He is dreaming about roads and highways in Haiti, electricity 24/7, saying a promise is a debt. A gas pump nozzle is in his hands, He plans to do all that with profits from the sale of gas. 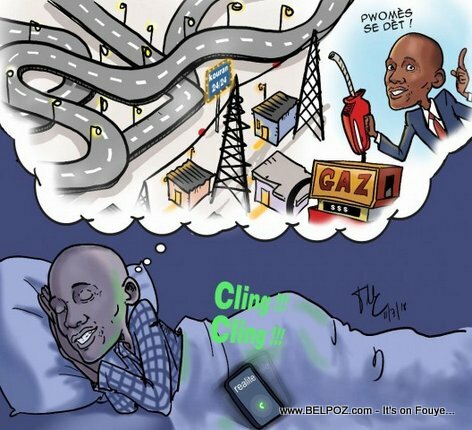 Haiti Caricature : Route, Electricitè 24 sou 24, President Jovenel ap reve? Gade karikati sa a ke jounal Le Nouvelliste pibliye... Li montre president Jovenel ki nan yon rèv, l ap reve bèl route, elektrisite 24 sou 24, li di promès se dèt. 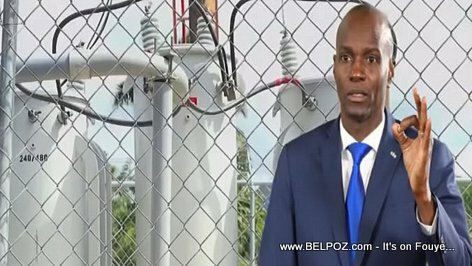 Bouch pump gaz li nan men li, se ak lajan gaz li pwal fè l.
Here is a photo of Haitian President Jovenel Moise speaking to the media during a visit at an electrical substation in Tabarre, Ouest, Haiti, in April 2018. The president explains what an electrical substation is and assures residents of the metropolitan Port-au-Prince are that the providing electricity to them 24/7 is his top priority. A electrical substation is a part of an electrical generation, transmission, and distribution system. Substations transform voltage from high to low, or the reverse, or perform any of several other important functions. Between the generating station and consumer, electric power may flow through several substations at different voltage levels. 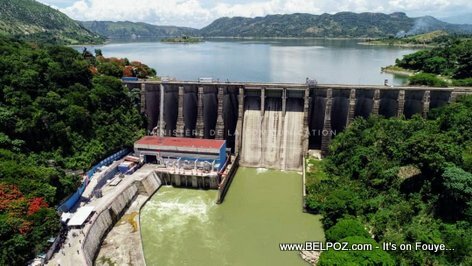 Haiti's Peligre hydroelectric power plant has not operated at full capacity since 1971 when it was first put into service until today, June 21, 2018, according to a Haitian Journalist Luckner Desir. There was always one or two turbines broken or not working. The 3 turbines never worked to provide electricity, the journalist said. 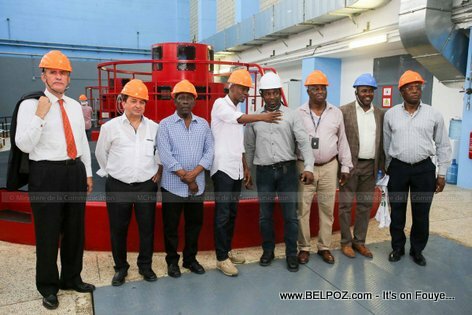 With Jovenel Moise as president of Haiti and his drive to electrify the country, Peligre power plant is operating at full capacity once again. Jovenel Moise scored big with this one the Luckner Desir said said. 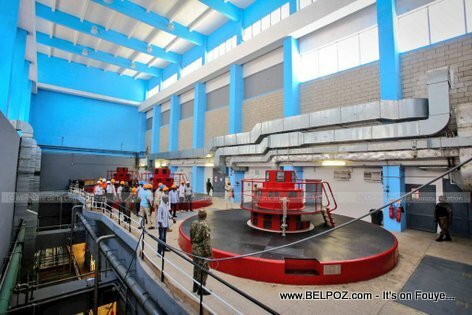 The state-of-the-art equipment at ths Peligre hydroelectric power plant will guarantee a minimum of about 10 megawatts of power during the dry season and a total of 47 megawatts of power with all 3 turbines operating during the rainy season. This event took place Thursday June 21, 2018. Regardez les nouvelles turbines de la centrale hydroélectrique de Peligre, fraîchement réhabilitées, les trois turbines sont maintenant pleinement opérationnelles. L'équipement ultramoderne de la centrale hydroélectrique de Péligre garantira un minimum d'environ 10 mégawatts d'énergie pendant la saison sèche et un total de 47 mégawatts d'énergie avec les trois turbines en service pendant la saison des pluies. Cet événement a eu lieu le jeudi 21 juin 2018. 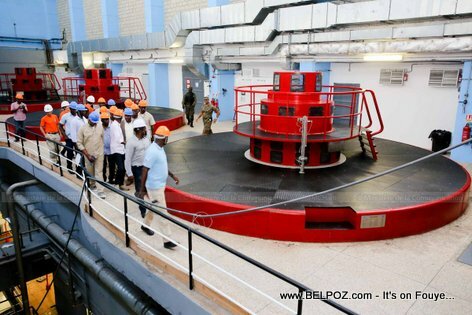 Look at the new Turbines at Peligre Hydroelectric power plant, freshly rehabilitated, all 3 turbines are now fully operational. 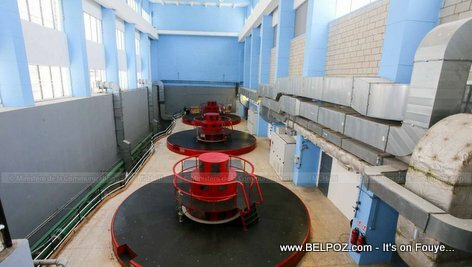 Haiti Electricity - All 3 turbines are working at the Peligre Hydroelectric power plant. President Jovenel Mosie wants to provide Haiti with electricity '24 sou 24' and this is a bit first step. 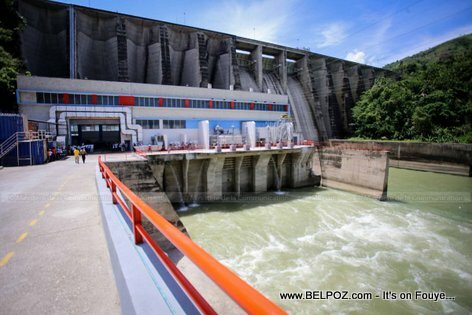 All 3 turbines are now working at the Peligre Hydroelectric power plant. 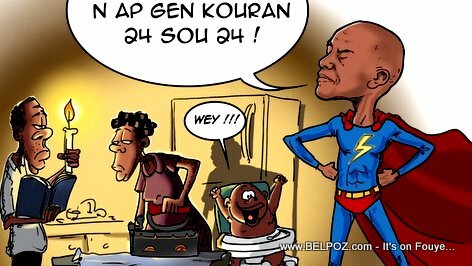 Regardez cette image, partie d'une caricature du journal haïtien Le Nouvelliste montrant le "super" président d'Haiti Jovenel Moise promettant de l'électricité 24/7 au peuple Haitien.